It’s not uncommon for a new flooring material to hit the market and, simply, sound too good to be true. Usually, that’s because it is. In that vein, there’s been lots of talk about a new concrete floor coating and sealer called polyaspartic polyurea. What do the proponents say? That it can be applied at any temperature, is flexible enough to bridge small cracks, bonds easily to nearly any concrete surface, and cures to full strength within half an hour, with optimal UV and stain resistance from go. The bad news? Polyaspartic cures so fast it doesn’t have time to create good adhesion to either the substrate or the pebbles or granules it’s mixed with-and that’s a problem. A resin needs to have time to fully absorb into a substrate before it cures if it’s going to have good, long-term adhesion. Polyaspartic, essentially, just lies on the surface like a sheet, but lacks adhesion because it isn’t given the time to “bite” into the concrete. If it can’t saturate into the material, then the bond created is weak. The end result? For one you have a thin paint with many of the same pitfalls of an epoxy floor paint. But the bond to the concrete is even worse than the bond created with an epoxy. 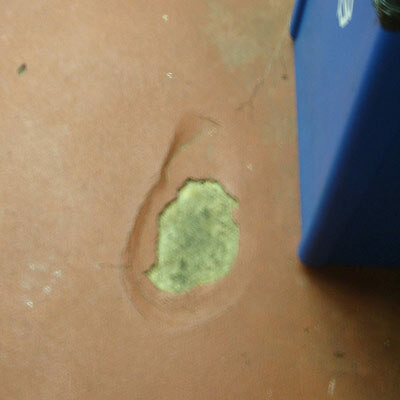 Polyaspartic floor coatings usually always have adhesion problem areas where it peels away from the floor. Everlast® Epoxy Floors are a uniform, resin-rich, troweled-on system that forms a physical bond between the material and the surface and glues them together. The result is an unbroken, continuous surface that is non-porous, waterproof, and self-containing. Our floors are strong, tough, and flexible. While other floor coatings are commonly just approximately 60 mils thick, Everlast® Epoxy flooring is long on high quality resins and uses the correct amount of aggregate, resulting in a superior surface that is 160 mils thick. Plus Everlast® Floors are 100% water resistant, so you’ll never have to worry about accidents happening because of your flooring. Another perk? 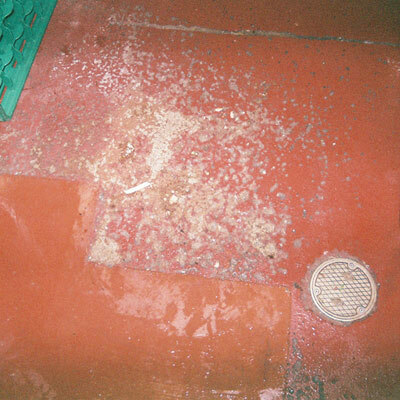 Our floors are truly rich and beautiful. With dozens of bright, attractive colors and a host of custom design options available, you’ll find the right floor for your space every single time.